What impact will the TPP treaty have on Japan's copyright laws? Will it mean fan work such as doujinshi are an endangered species? A huge, thorny question, one examined by the Japan Times and Anime News Network in turn (there's an Answerman column about it, too). Short version, best as I can suss it out: Japan's government seems to be at least willing to pay lip service to the idea that fan creations aren't a blatant commercial-scale violation of copyright. (No, not even with Comiket continuing to do such gangbusters business every year.) However, it's unclear if works now in the public domain — e.g., the novels of Osamu Dazai or Sōseki Natsume — would revert to their descendants, assuming any still exist. The whole thing is still very much in flux, and I suspect it will only get nailed down as one particular case after another makes its way through the courts. One comment passed around is whether this will give Japan incentive to create something akin to U.S. "fair use" statutes, although that seems about as possible as the censorship statues being dismantled — in other words, not bloody likely. Knights of Sidonia was just the beginning: NetFlix CEO Reed Hastings is on the record that he's interested in funding original anime productions for Netflix. Sidonia was, I believe, partly funded in exchange for the right to distribute the show on Netflix, but this would be a step up from that. Tentative thumbs-up on the idea, but I suspect it'll essentially mean Netflix getting right of first refusal on some plum manga title set to be made into an A-list anime series. 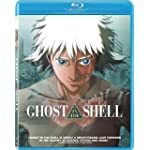 It all depends on what they choose to work with, and odds are it'll be something with an existing audience (e.g., a manga series) to increase its bankability. 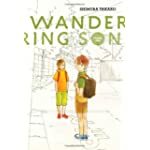 Wandering off the charts: Wandering Son is not selling like it should, and that is apparently having a bad impact on its future prospects in English. I kept putting off buying the series; now I have no excuse. You go get a copy, too. Wandering onto the shelves: And speaking of wandering, it looks like Wandering Island, the manga by Kenji (Spirit of Wonder) Tsuruta, will be getting a domestic release thanks to the fine folks at Dark Horse. Plot summary puts it somewhere between Kiki's Delivery Service (sans the magic) and Porco Rosso (sans the lead character being a pig), but this is an automatic win for me given how under-released Tsuruta's work is in English generally. Not dead yet: Oh yeah, apparently the live-action U.S. Death Note movie continues to shamble forward. There's now a female lead, Margaret Qualley (of The Leftovers). Odds are she's in the Misa Amane analogue role, but they might also be slotting her in as the female detective, assuming that character has survived the transition. The Monster Musume Miia hug pillow is back: All seven meters of it. Machine wash warm, tumble dry low. No bleach, though. For those, um, stubborn stains, use OxyClean instead.